You know how sometimes you see a trailer that combines so many perfectly good elements in the most spectacularly off-the-wall, inventive, horrible ways, and you think to yourself, “Well, surely that will be a good movie.” Okay, maybe “good” is the wrong word. Maybe even “movie” is a little too generous, but I will not rescind the verb “to be.” I can say nothing more accurate, and nothing more positive and unduly flattering about today’s reviewee than “it is.” It is, in fact, a movie. They made it. It happened. The Plot: Huo An (Jackie Chan) sees his life as a Silk Road peacekeeper turned upside down when someone frames him for smuggling and embezzling. 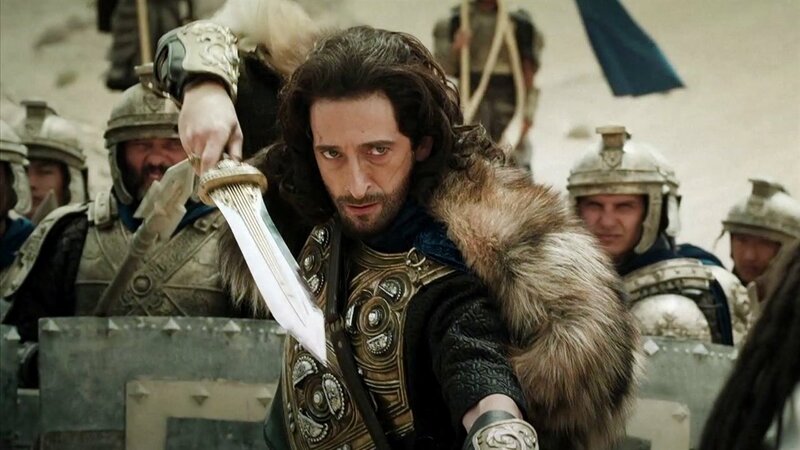 Things get even crazier when an exiled Roman legion led by the General Lucius (John Cusack, interestingly enough) shows up with a story of betrayal, politics, and an impending Roman conquest planned by the villainous Tiberius (Adrien Brody, no foolin’) that could spell catastrophe for China and the 35 other nations who use the Silk Road. That’s right, Rome is planning to conquer the Far East by challenging thirty six nations, including the Chinese, Hun, and Parthian empires, at once. So much for the military strategy that made them a world superpower. 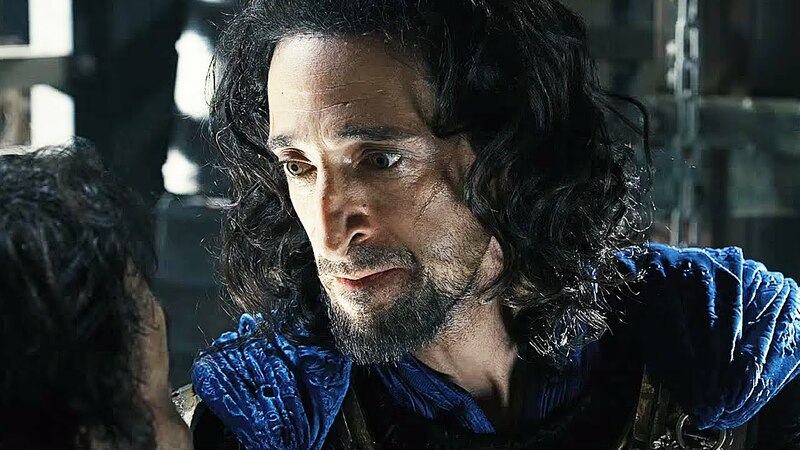 I’m sure Jackie Chan’s ragtag team of Silk Road pacifists, teamed up with John Cusack’s ragtag team of Roman refugees, and the obnoxious child heir-apparent he’s trying to protect, will be able to defeat Evil Adrian Brody. The movie’s called Dragon Blade. 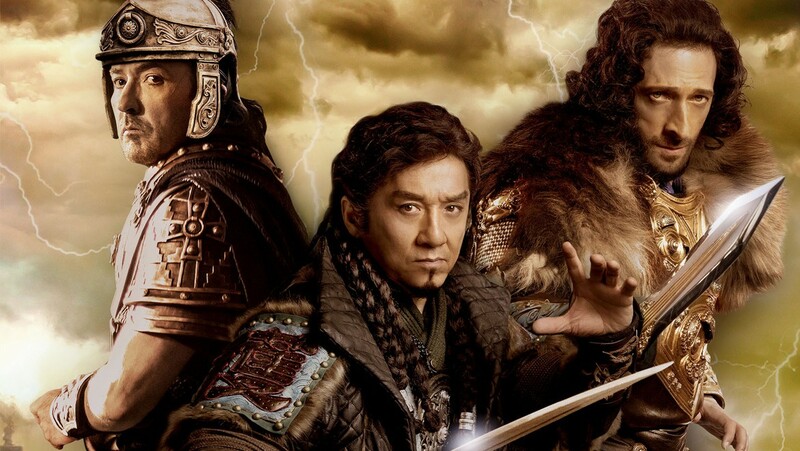 So, with a plot that stupid—and monstrously inaccurate, despite its claim of being “inspired by true events”—Dragon Blade was never going to be good. Obviously. It probably should have at least aspired to match the quality of a direct-to-DVD Scorpion King sequel, though (worth mentioning, by the way, that the DVD I watched did feature a trailer for The Scorpion King 3: Battle for Redemption, starring Billy Zane, Ron Perlman, and Dave Bautista; I can’t believe I never reviewed that movie). I try not to go by IMDb ratings too much, but I do find them occasionally interesting. Dragon Blade currently boasts an impressively liberal 6.1/10. The Scorpion King 3: Battle for Redemption sits pretty at 3.7/10. Defenders and proponents of Dragon Blade—that is to say, presumably, some of the people involved in its production—would doubtlessly object to the comparison drawn between it at SK3-BFR (which must also be the name of a Star Wars droid), and would no doubt point to the film’s lofty aspirations towards drama and meaning, but these are all woeful attempts, and certainly not successes. All told, only two things really held back Dragon Blade from success. This movie tried to be hella serious. Somebody wanted it to be the next Gladiator, and that was just never going to happen. Ever. It wasn’t. Sorry, but no. The filmmakers reinterpreted the phrase “emotional resonance” to mean “heavy-handed political message,” “gross anachronism,” “heavy-handed political message by way of gross anachronism,” “IMPOSSIBLY annoying kid,” and, “Adrien Brody’s a method actor, right? Like, even for this?” Perhaps if they had embraced the wanton stupidity of their basic premise, they could have produced something enjoyable, if not worthwhile. The most basic production values. I’m not asking for anything spectacular or overly cinematographic. All I want is the absolute minimum level of competence. I haven’t seen a movie so poorly assembled and stylistically offensive since Breathless. At one point towards the end of the movie, the DVD started skipping, but I didn’t notice at first because that’s how bad the editing was throughout. There’s simply no excuse for that. I mean, he is into this thing. I think I had this exact idea for a movie when I was thirteen, and it seemed pretty good at the time, but do you know what happened in the intervening years? I grew up. I learned a thing or two about basic storytelling and history. I never wanted Dragon Blade to be a great movie. I wanted it to be at least as good as the third Scorpion King movie. In no world should that be too much to ask.